The top image is my favourite. Are they Jacarandas? Looks pretty! That first photo has such a delicate, lacy look. Love the purple against that blue sky! I believe we have jacaranda trees in south Florida. In fact, I formerly played a golf course call Jacaranda! I know this square from my visit. A really amazing place. Oh wow, I am so jealous, Salisbury (Harare) was just full of Jacarandas and were amazing. Also Pretoria was called the Jacaranda city in South Africa. We had blue and white in our garden they were amazing together. Great memories. Beautiful architecture in the area, and that square's tile work is mesmerizing! Such a beautiful square it is indeed, Jose!! I do love the Jacaranda trees and those blue, blue skies! Gorgeous!! Thanks as always for sharing the beauty!! Have a great weekend!! I love the look of the square, JM! And those trees are wonderful. Arghh I think I've missed ours I wanted to shoot them again! Gorgeous shots JM and yes, I read the article and yes, the palace asked for people to postpone their visit. This lunchtime, I saw the queue it was horrendous! Gorgeous spring day. 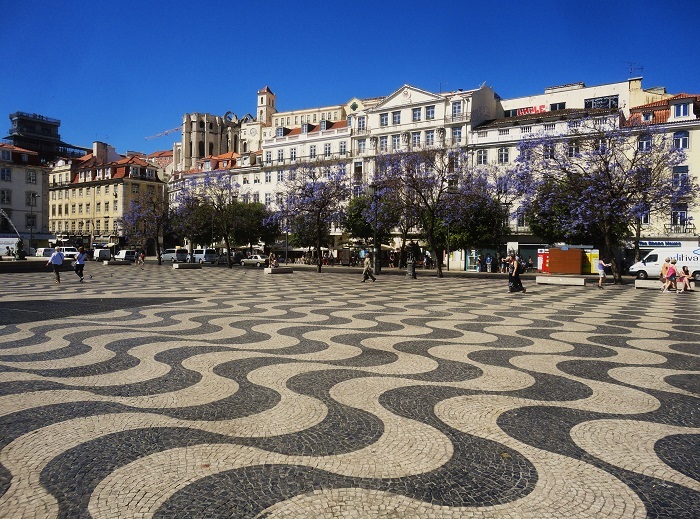 Rossio Square is beautiful. They are such beautiful trees. You have them too! They look stunning against Sydney sandstone but are even more prolific further north and they flower earlier up there. We had one in our garden when we first came here but it died so now we make do with enjoying the neighbour's tree. Oh, the colors of spring! 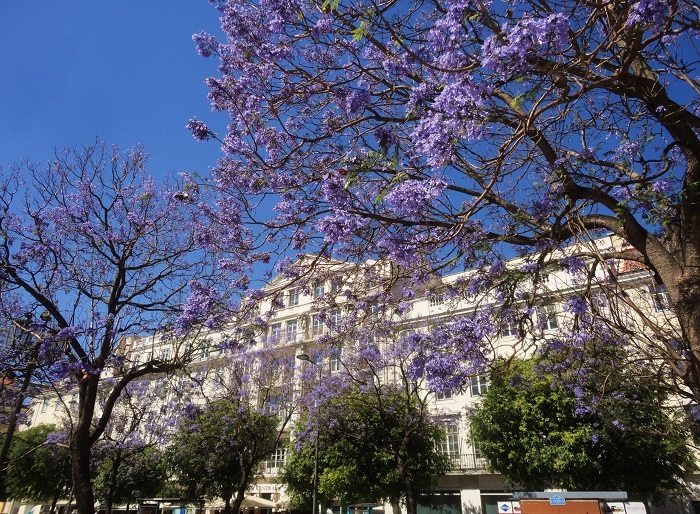 Lisbon looking pretty in spring Jose, jacarandas against the architecture look stunning.